Our client came to us with a clear and solid business idea. At the same time there was a certain romantic mood in the history and the naming of the future brand. 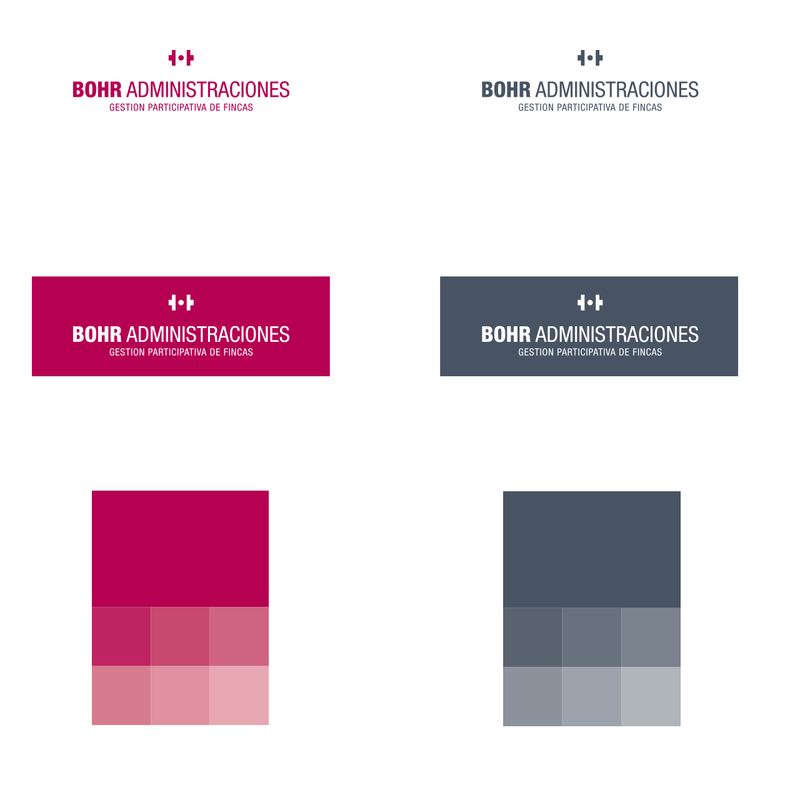 Bohr is the surname of one of the first coin minter in Spain; this was the starting point and connecting link to provide the brand with its own personality. For the logo we looked for notoriety and reliability, hence the use of a special typography with straight strokes and solid shapes. With this typography we will compose the form of the symbol that we will use as corporate iconography. This icon represents a machine coining, represented by a T letter and another one inverted with a circle inside. Simple shapes and straight lines designed to transmit transparency and professionalism.